Welcome! The English Language Institute provides the best English language and American culture program available at a reasona ble cost. It is open to all qualified students who wish to learn English at a mid-sized university in the Midwest where the focus is on teaching and learning in a safe, nurturing environment. 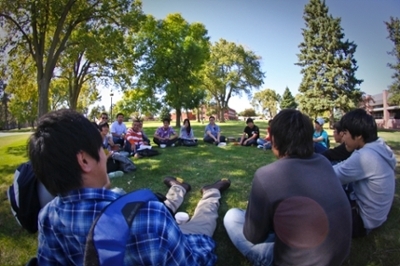 The Institute provides international students a comprehensive way to prepare themselves for admission into a degree program of study at the University of Nebraska at Kearney.